Earn 219 loyalty points when you order this item. 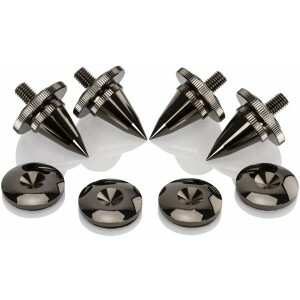 Elac Ultimate Speakers Spike Set are high-quality spikes with M8 threads featuring a high-polished chrome finish. Suitable for all ELAC loudspeakers with M8 thread sizes. Especially recommended for Line 240, 260 and 400 floorstanding speakers to achieve optimum coupling on carpeted surfaces. 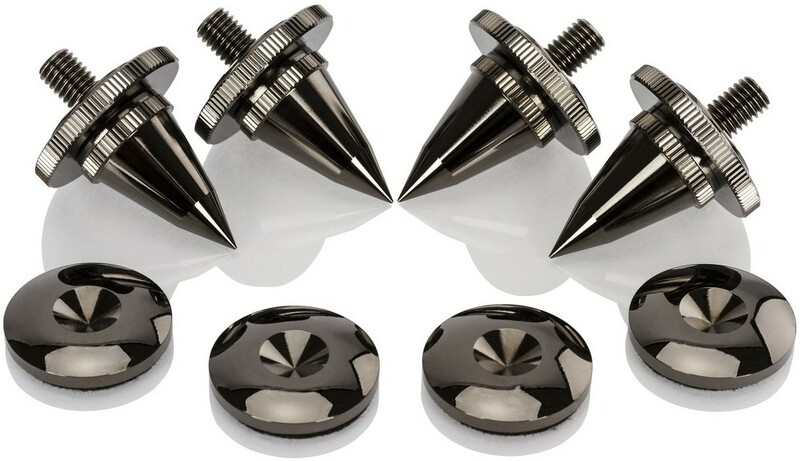 Sturdy chrome washers with indents for spikes allow for use on hard surfaces. Whether controlling resonances at the source, fine-tuning bass response or establishing a firm foundation on the floor, these accessories bring your loudspeaker system even closer to perfection.